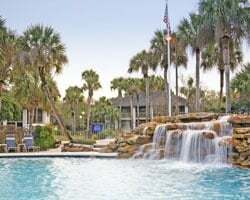 Located within a 42,000-acre community, *Legacy Vacation Club Palm Coast* offers a heated outdoor pool and saunas. Adjacent to the resort is an 80-slip marina where you can dock or rent equipment. As a guest of the resort, you will have access to public beaches within a short distance. Four 18-hole golf courses are located nearby in the local area. Enjoy fun and relaxing vacations at this lovely resort! Week 25! Buyer may receive a title fee credit, inquire for details! 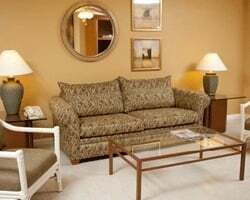 Floating week in a gorgeous 2 bedroom unit! Motivated seller. RCI points conversion yearly. Maintenance fees paid for 2019. 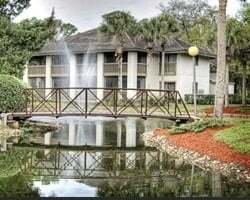 Great resort close to many attractions and amenities! Floating week! Inquire for details! Lovely Palm Coast resort on the water! Ideal for peaceful and relaxing adventures! Floating week! Inquire for details! Attention boat & water lovers! Yearly usage in a floating week! Buyer receives complimentary closing credit; inquire for details! 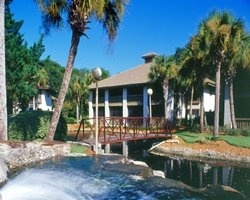 Fantastic Intracoastal Waterway resort! Yearly usage in a floating week! Buyer may receive a title fee credit; inquire for details! Annual floating week! Resort has multiple championship golf courses! Buyer May Receive A Title Fee Credit, Inquire For Details! Central location near a variety of beaches, activities and much more! Buyer May Receive A Title Fee Credit, Inquire For Details! Annual floating week available! Ideally located near a marina! Buyer May Receive A Title Fee Credit, Inquire For Details! 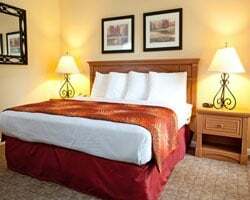 Resort features all the comforts of home & more! Buyer May Receive A Title Fee Credit, Inquire For Details! Enjoy whale watching, biking trails and so much more! Buyer May Receive A Title Fee Credit, Inquire For Details! Annual floating week! Explore one of the many activities onsite and nearby! Buyer May Receive A Title Fee Credit, Inquire For Details! Price Reduced! Red week every year! Maintenance fees paid to date, price is negotiable. Price is negotiable!Fantastic resort on the Intracoastal Waterway! Buyer may receive a title fee credit; inquire for details! Price recently reduced. Floating week of your choice each year at this lovely Palm Coast, Florida resort! Buyer may receive a title fee credit, inquire for details! Ideal gateway to relaxation & adventure! Buyer may receive a title fee credit, inquire for details! Floating week ! 53,000 pts annually with RCI membership and 106,000 pts available for 2018 with RCI membership .Inquire for details! Enjoy relaxing vacations in sunny Florida! Choose to stay in any floating week! Buyer may receive a title fee credit, inquire for details! With RCI membership, week exchanges for 59,000 RCI points! Buyer may receive a title fee credit, inquire for details!